We use the word, but there’s really no such thing. If your drawing or painting has a figure/object then that’s the positive space and everything else is called negative space. This is a rather antiquated way of seeing, in the sense that before modernism art works were expected to illustrate a given subject matter, such as a narrative from mythology, whereas the modern eye wants to see every square inch of the canvas as “it,” as lively and engaging. But the positive/negative (also called figure/ground) concept is useful in discussing how certain passages in a painting or drawing affect our seeing. 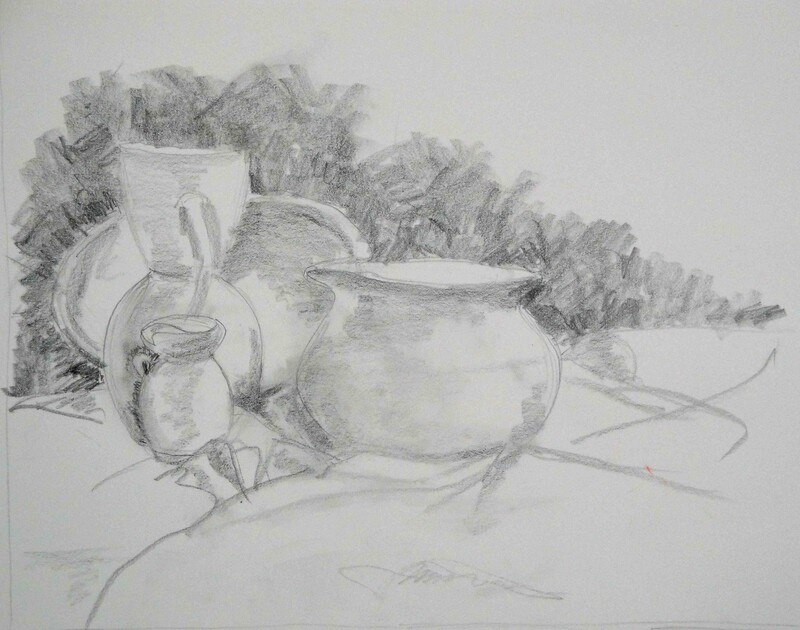 (Above, drawing by Linne D.) Amazing things happen when you consciously set out to make the “negative” space vibrant and as important as the objects you are drawing. 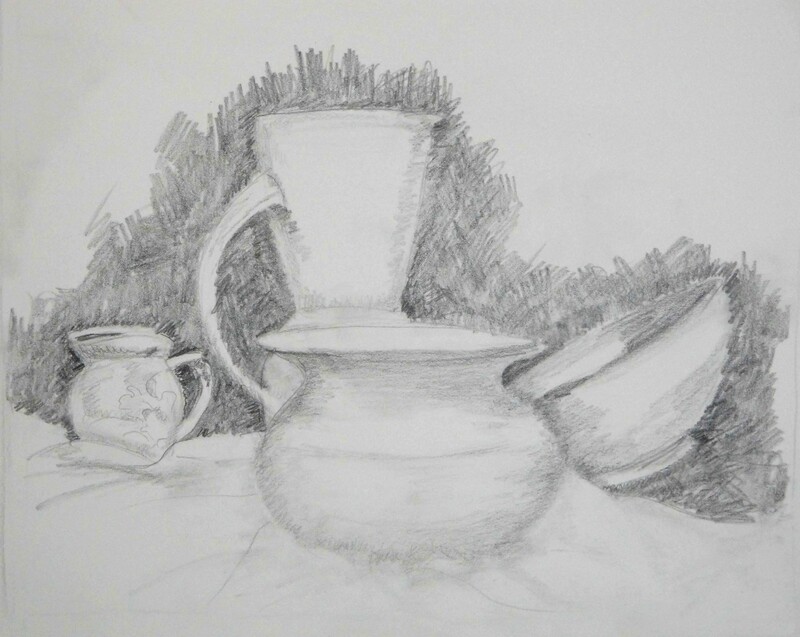 As I set up a still life for my drawing class today, my instruction concerned “negative” space. The textural markmaking in the “negative” space should push against the contours of the pottery and therefore, in effect, define those contours—indirectly. The pottery shapes would still have shading, but the values in those tones would be lighter than the background (“negative” space.) One of the interesting discoveries that followed was that if the foreground was developed too much, the whole thing fell apart. 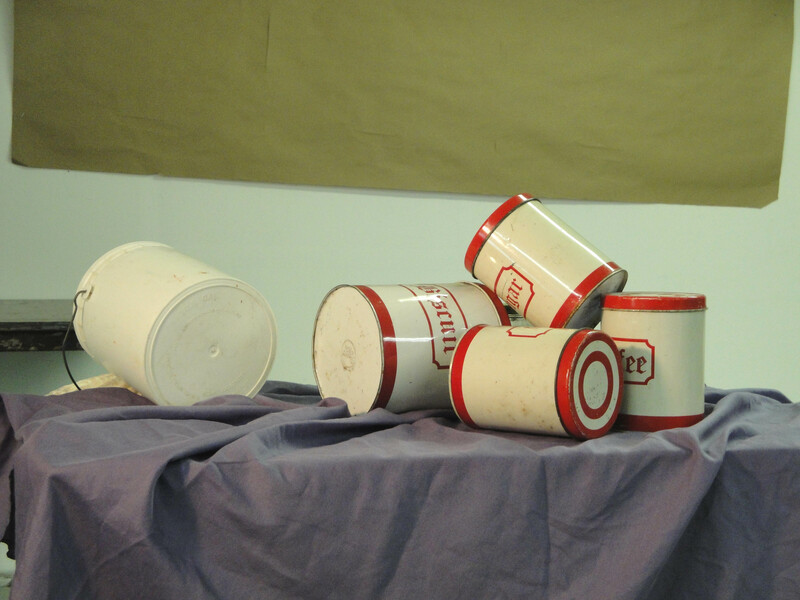 The pots, in effect, wanted to be suspended from the dark, very assertive, “negative” space. For some students, this exercise was revelatory. 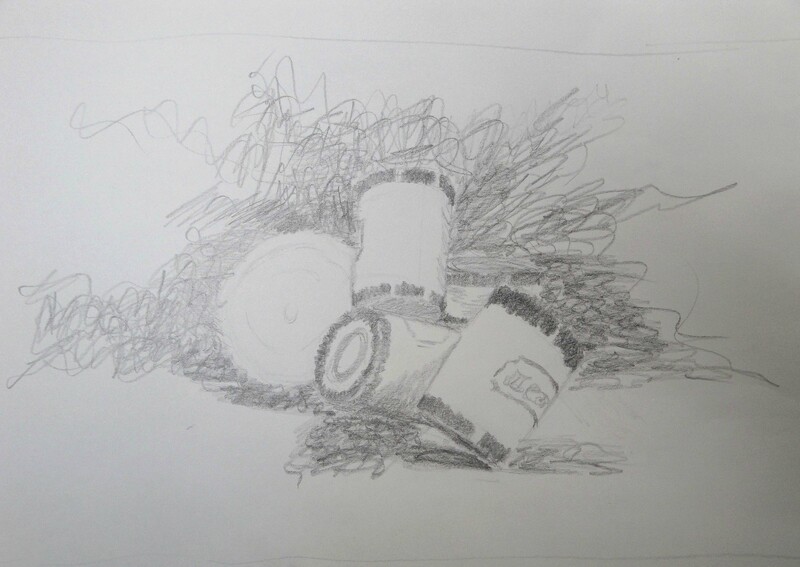 One student, Eileen K, said she had never drawn this loose before. 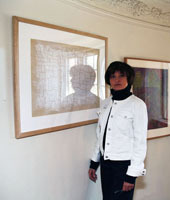 (Above, two drawings) Hey, that’s powerful. For another student, Maggy S., the instruction to scribble in the “negative” space became an invitation to let loose as never before and her texture became truly animated. When that happens, as here, there is no positive or negative space–there’s only an engaging drawing no matter where your eye wanders. And wander it does, a most desirable effect. But notice, also, that it’s invented, it’s pure drawing. 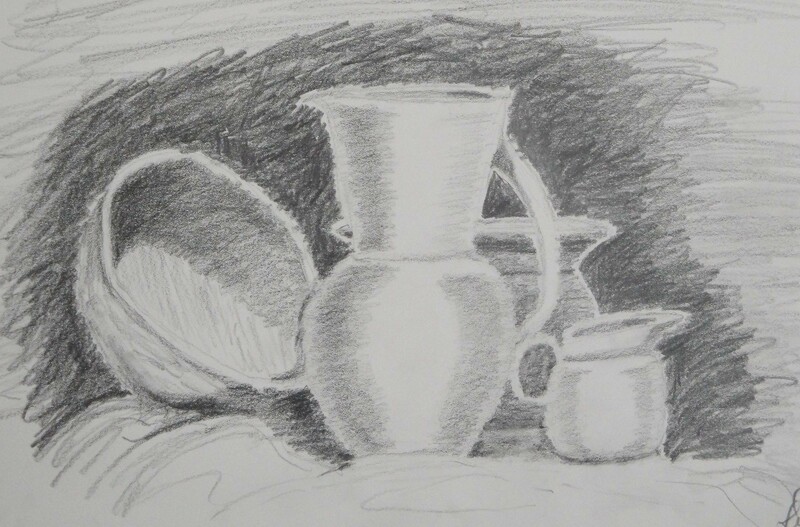 The set up of the still life had nothing behind it to inspire these animated scribblings, not even drapery. The actual drapery, on the table, became uninteresting in the context of the “negative” space in the “background.” Invention and imagination triumphed over literalism and so called realism. Ah, the myth of realism. For another time.